Glen Muschio, Ph.D., and Denise Dennis, DFCLT President. URBN Center, Drexel University’s Westphal School of Media Arts and Design, July 3, 2013. As part of DFCLT’s educational mission, Denise Dennis and Board member Wade Catts met with Glen Muschio, Ph.D. at Drexel University’s state-of-the-art URBN Center to discuss a collaborative digital cultural heritage project. The Drexel team will digitally create three-dimensional, interactive reconstructions of the Dennis Farm as it would have looked 200 and 150 years ago. The technology can then be applied to teaching the history of the farm to elementary and secondary school students. 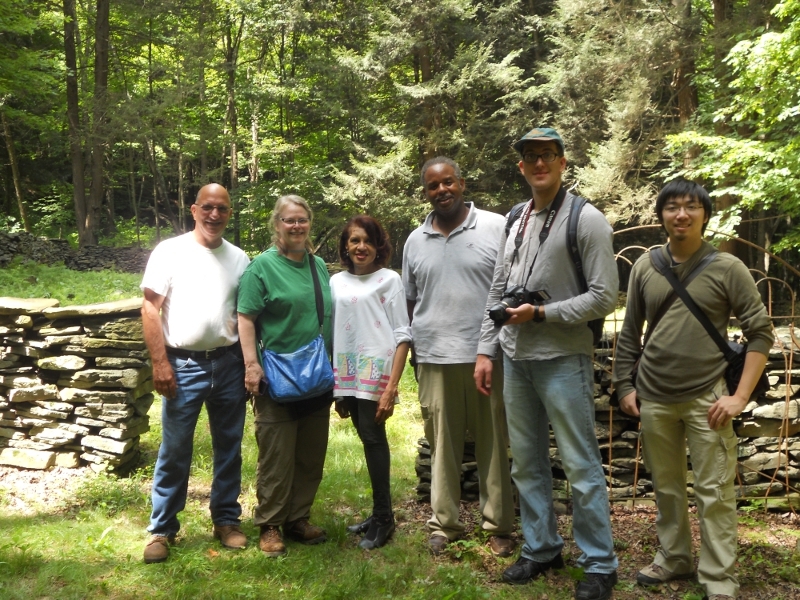 On a July 11, the Drexel team toured and photographed the Farm including the Prince Perkins Archaeological Site and the ruins of the barn complex, as background research for their digital, 3D reconstructions. 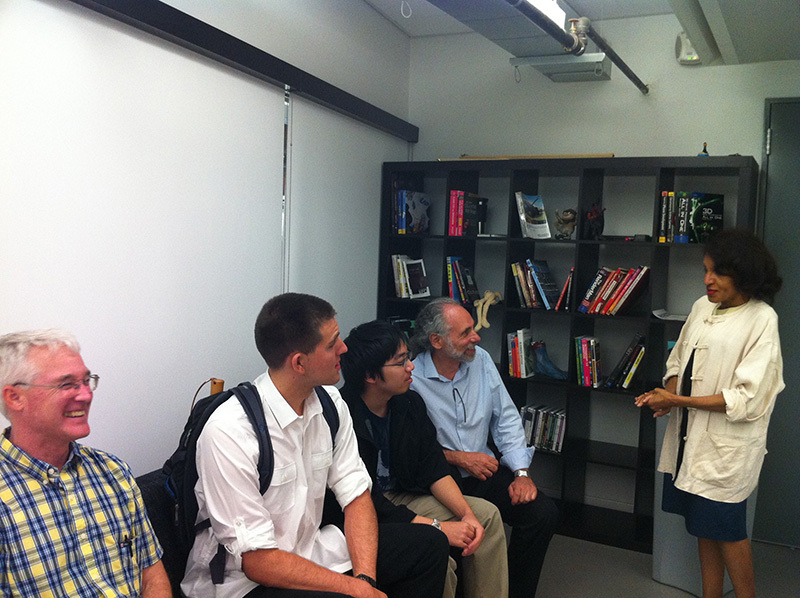 (Dennis family descendant); and Drexel students Zachary Stockmal and Justin Wu. 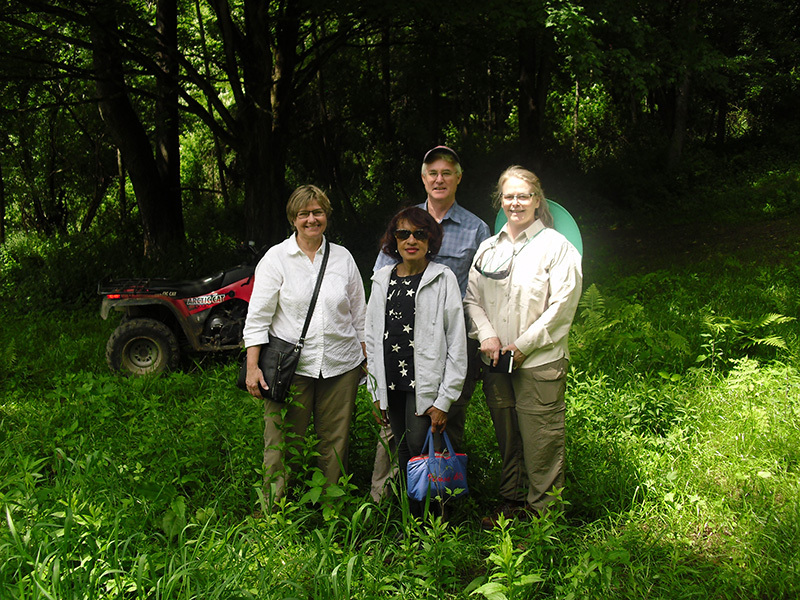 Cecilia Rusnak, Department of Landscape Architecture, Penn State University; Denise Dennis, Wade Catts, DFCLT; Historical Archaeologist, Patrice Jeppson, Cheyney and West Chester Universities. Dennis Farm, June 12, 2013. On a sunny morning in June, Professors Cecilia Rusnak of Penn State University’s Department of Landscape Architecture and Patrice Jeppson, who teaches Historical Archaeology at Cheyney and West Chester Universities, toured the Dennis Farm to research prospective educational projects between DFCLT and their respective institutions. 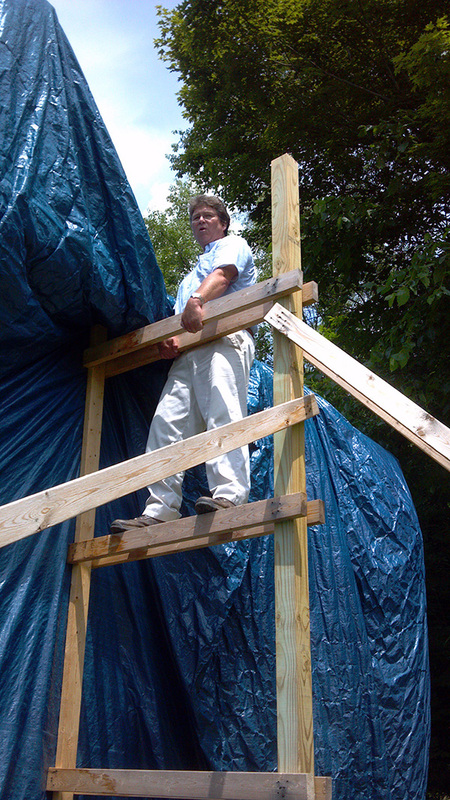 As plans for the farmhouse move forward, architect Phil Yocum examines the structure. July 2013.